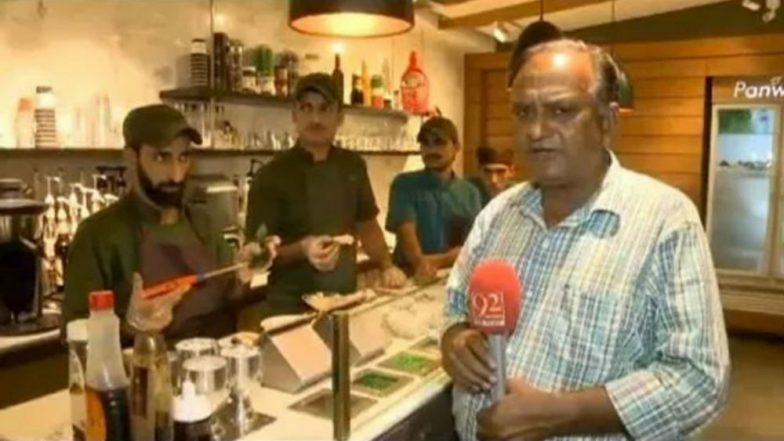 Chand Nawab whose field reporting shot him to fame for all the wrong reasons is back with another video. Twitter user Fazil Jamili shared the video on June 28 with the caption "Chand Nawab rocks yet again but this time not for 'apno mein Eid manane'." The Pakistani television journalist received further momentum after he inspired Nawazuddin Siddiqui's character in Bollywood movie Bajrangi Bhaijaan. In the latest video, Nawab can be seen reporting from a paan shop about the types of paan available there in his typical way. He fumbles, forgets, eats a few words in between trying shots from different angles. Three employees at the paan shop can be seen smiling in between waiting patiently for Nawab to finish so that they can hand him one of their paans. The video has now gone viral and social media users cannot stop laughing at it. Jamili's tweet has received more than 2.300 retweets and over 3,600 likes (at the time of publishing this article). Just like the old one this video has taken centre stage among netizens. In the old video that made him the talk of the town, Nawab can be standing on the steps of a bridge at a railway station struggling with lines. He gets distracted, forgets or a passerby interrupts and gives multiple takes. The video became a prime example of what reporting is not about.